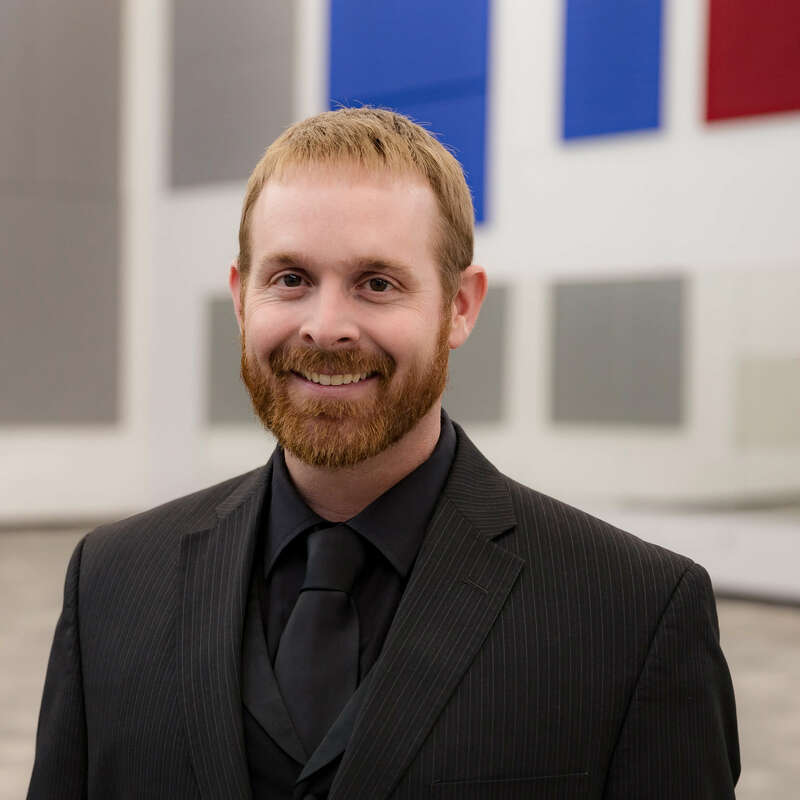 Jeremy W. Parker is the Director of Bands and Coordinator of Instrumental Music at Bixby Public Schools where he oversees all aspects of the Bixby Bands. He is the conductor of the High School Wind Ensemble and the director of the “Pride of Bixby” Marching Band. 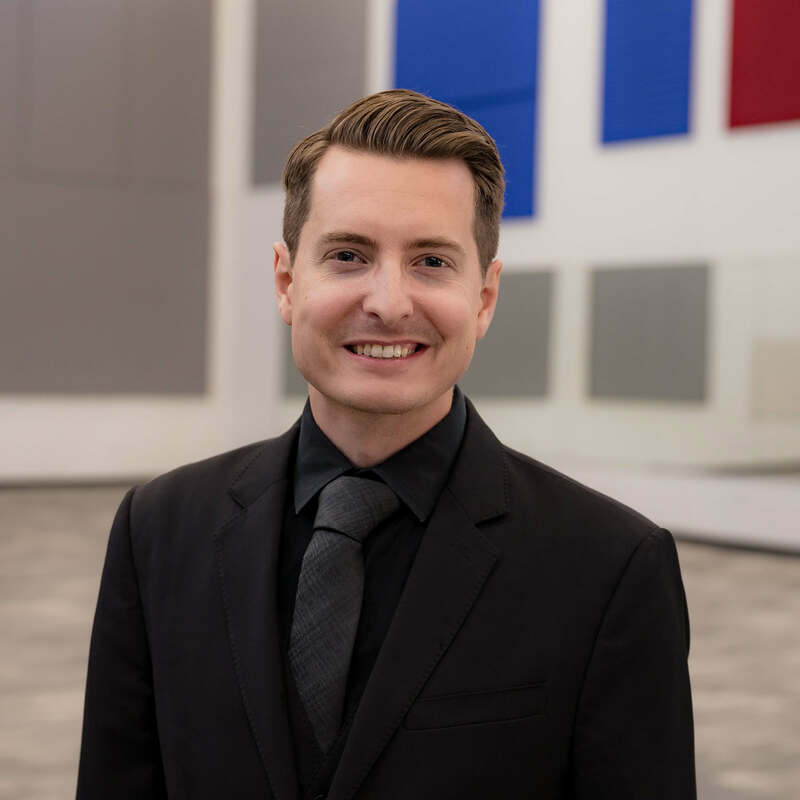 He also conducts the High School Jazz Ensemble I, Trombone Choir, Trombone Octet, Tuba-Euphonium Choir, and teaches the 6th Grade Brass at Central Intermediate. Additionally, Mr. Parker assists with the Middle School Brass and instructs the High School Pre-Music Education Class, which explores theory, composition, secondary instruments, conducting, and peer mentoring. Mr. Parker is a frequent clinician and adjudicator for marching and concert band and freelances as a marching band program designer and drill writer. Mr. Parker also plays trombone professionally in the Tulsa area and is a member of the Starlight Concert Band and Starlight Jazz Orchestra. Mr. Parker is the program director for the Zephyrus Arts Institute and co-conductor of the South City Winds. He is also the assistant director/producer of the nationally-syndicated radio program Wind and Rhythm. 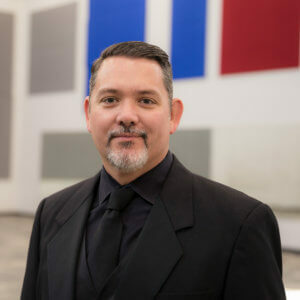 His professional affiliations include Phi Beta Mu, Phi Mu Alpha Sinfonia, Oklahoma Bandmaster’s Association, Oklahoma Jazz Educators Association, and Oklahoma Music Educators Association. Geoffrey Anikienko is the Coordinator of Percussion Studies at Bixby Public Schools. His duties include teaching every percussion student from 6th grade through 12th grade in the district. He also conducts the Middle School and High School Percussion Ensembles. Additionally, Mr. Anikienko is a designer and arranger for the Pride of Bixby Marching Band. 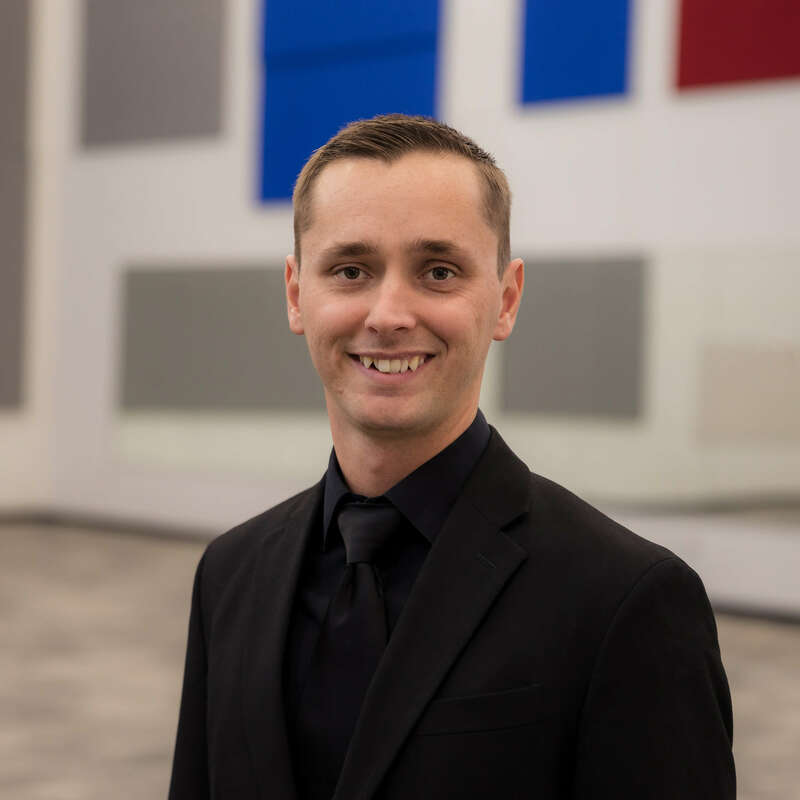 Mr. Anikienko has diverse experience in percussion performance, from marching in Crossmen and Bluecoats Drum & Bugle Corps to playing percussion in professional symphony orchestras. His professional affiliations include Oklahoma Bandmasters Association and Oklahoma Music Educators Association. Steven Collins is Associate Director of Bands at Bixby Public Schools. He is the conductor of the High School Symphonic Band, Middle School Jazz Ensembles I & II, and High School Flute Ensembles. Additionally, Mr. Collins teaches 6th Grade at Northeast Intermediate, High School Music Theory, AP Music Theory, and assists with the Pride of Bixby Marching Band and all aspects of the high school band program. Mr. Collins arranges music and warm ups for bands, and he is an adjudicator in Design Analysis for Winterguard & Percussion of Oklahoma. Mr. Collins plays lead trombone for the Modern Oklahoma Jazz Orchestra and performs in other freelance opportunities. 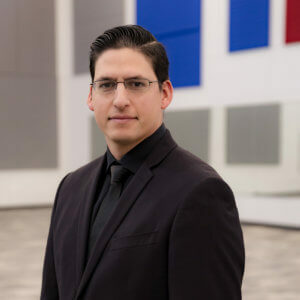 His professional affiliations include Phi Mu Alpha Sinfonia, Oklahoma Bandmaster’s Association, Oklahoma Jazz Educators Association, and Oklahoma Music Educators Association. Chris Walden is Assistant Director of Bands at Bixby Public Schools and Coordinator of Bixby Middle School Bands. He is the conductor of the 8th Grade Concert Band, and he teaches 7th Grade Woodwinds at the Middle School and 6th Grade Woodwinds at Central Intermediate. Additionally, he administrates all bands at Bixby Middle School. Mr. Walden is a sought after clinician and educator, conducting honor groups of all ages in Oklahoma. His professional affiliations include Phi Beta Mu, Phi Mu Alpha Sinfonia, Oklahoma Bandmaster’s Association, and Oklahoma Music Educators Association. Aaron Hutson is Assistant Director of Bands at Bixby Public Schools and Associate Director for the Pride of Bixby Marching Band. His duties include designing and arranging music for the Pride of Bixby, as well as conducting the High School Trumpet Choir, Horn Choir, and teaching brass at North Intermediate. Additionally, he is the conductor of the 7th Grade Concert Band and assists with all aspects of the middle school and high school band program. Mr. Hutson is also the brass instructor for Zephyrus Arts Institute. Prior to his teaching at Bixby, Aaron Hutson performed with the Cavaliers Drum and Bugle Corps. His music affiliation includes Phi Mu Alpha Sinfonia, Oklahoma Bandmaster’s Association, and Oklahoma Music Educators Association. Lara Davis is Assistant Director of Bands at Bixby Public Schools. Her duties include conducting the High School Jazz Ensemble II, High School Saxophone Ensembles, Clarinet Choir, and 6th Grade Woodwinds at Central Intermediate and Northeast Intermediate. Ms. Davis also assists with the 8th Grade Concert Band, the High School Wind Ensemble, and the Pride of Bixby Marching Band. 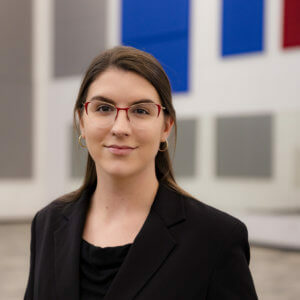 Her professional affiliations include Oklahoma Bandmaster’s Association, Oklahoma Jazz Educators Association, and Oklahoma Music Educators Association.